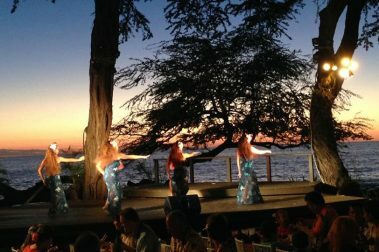 Stepping away from your typical day-to-day is what a visit to the Big Island is all about, and enjoying a new dining experience via a luau, barbecue, sunset cruise, or Hawaiian celebration isn’t just possible here, it’s encouraged. So gather up family and friends and get celebrating! 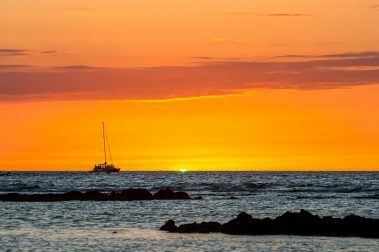 Take a historic dinner cruise and enjoy sailing down the Kona coast while hearing fascinating history, local musicians, and enjoying dinner at sea. Attending a Hawaiian lu’au is a great oportunity to get friends and family together and celebrate with food, fun and dance! 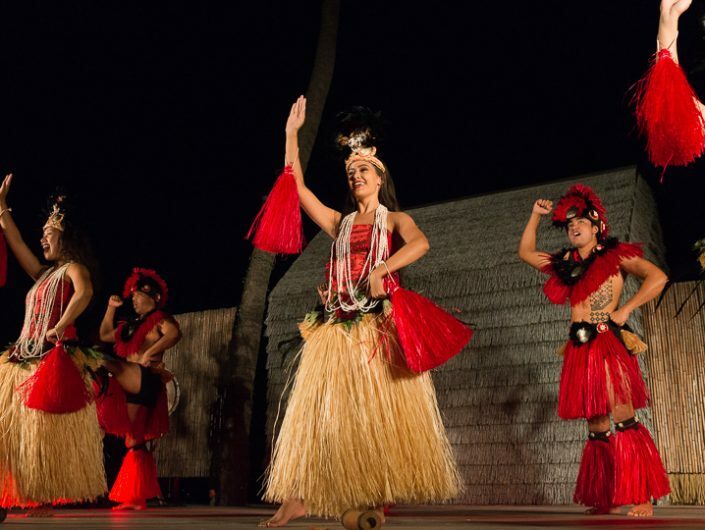 Famous for its delicious luau banquet and live entertainment, the Mauna Kea Luau is among the best in all of Hawaii. 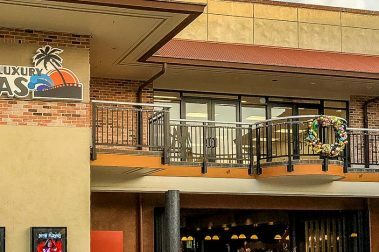 Waikoloa Luxury Cinemas is an upscale, three-screen movie venue with full-service restaurant and bar located in Queen’s Marketplace. Hau Tree is a casual and beautiful restaurant and bar that comes with a wonderful view, a delicious menu, and a beach side location. They host a weekly seafood buffet clambake. 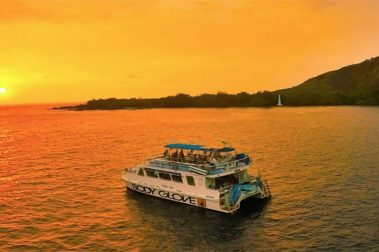 A gorgeous outdoor dining experience set against the famous Kohala sunsets, this casual cruise is well worth the expense for a romantic evening. 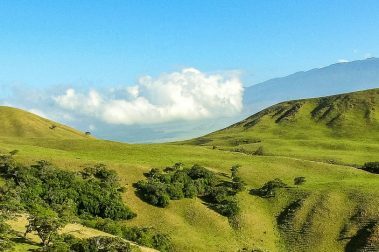 A dinner event at a historic Big Island Ranch, this weekly group meal combines delicious cuisine and ranch-style activities for the whole family. 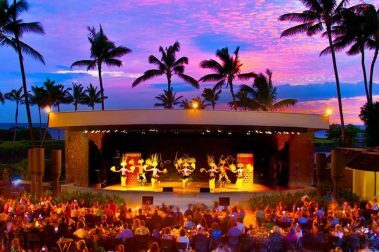 Enjoy a luau experience on the Big Island, the Sunset Luau offers a unique, beautiful natural setting during a remarkable dinner show. 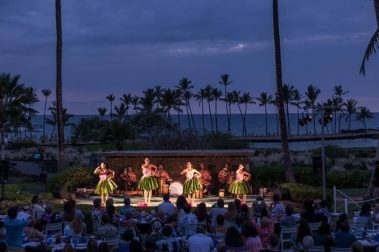 Legends of Hawaii isn’t any typical luau – luxurious and indulgent, this dinner event is unlike any other you’ll find on the Big Island. 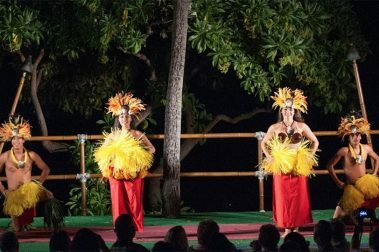 A unique and creative take on the Hawaiian luau, the Hawaii Loa Luau is an excellent option for a fun group meal. 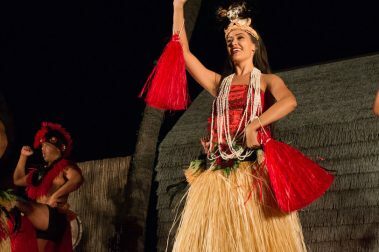 A beautiful luau on the Big Island’s stunning Kona Coast, Island Breeze Luau is the ideal dinner event for you and your family. 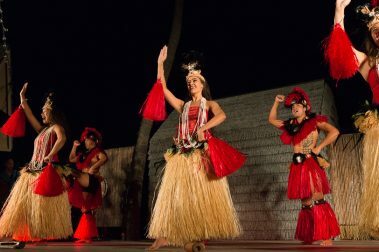 Haleo Luau along the Kona Coast is one of the finest options to enjoy this signature Hawaiian dinner event.